Like I anticipated in the last post, today I bring you some work space inspiration. Work spaces have to enable you to get inspired, be focused and sit comfortably for hours. They have to be personal and cosy so that you like working there but they mustn’t detract your attention. 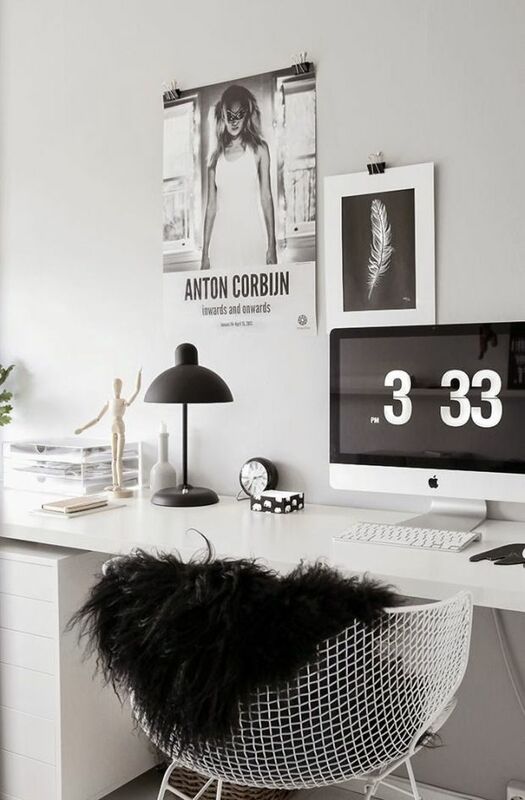 Creating the ideal workstation or home office is a relatively challenging task. Not only because many times people don’t have enough space for it in their homes, but also because one has to take into consideration a lot of factors, such as lights, windows, noise, other everyday activities done in the same room, etc.